I found myself meeting all kinds of interesting feet while sitting on a bench at a Southern California amusement park. It began with simple people-watching. Then, a man stopped about twenty feet away. My eyes zeroed right in on his feet, or rather, his man-sized ruby slippers. 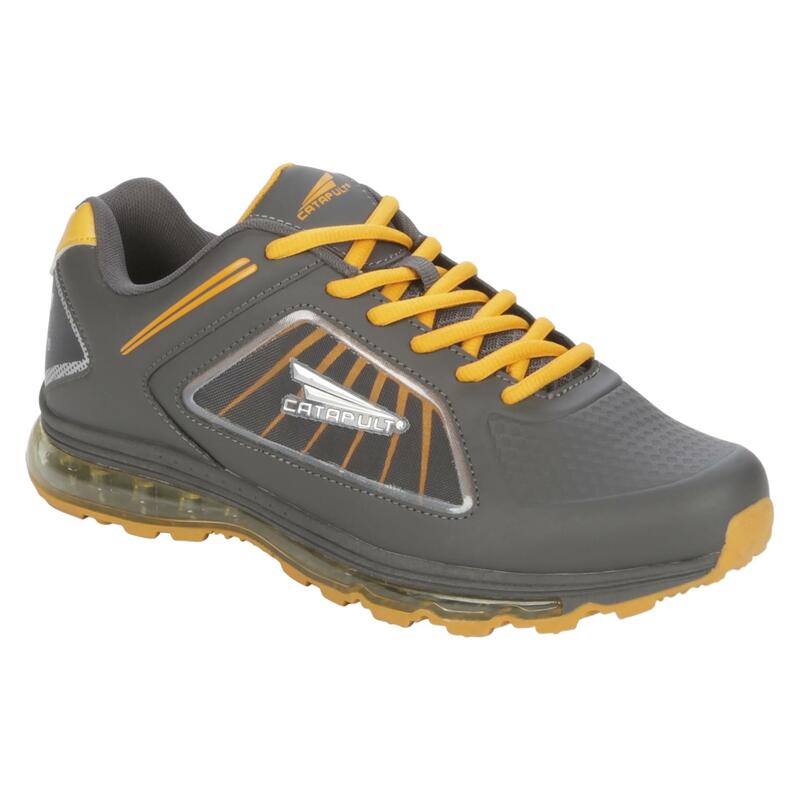 (Not the Dorothy from Kansas variety, but resembling something akin to the Nike or Adidas type.) I’m sorry to admit that, as far as I was concerned, the guy wearing the shoes was completely incidental to his feet—he might have been a Wookie, for all I knew. I never got a good look at anything but the brilliant, fiery, shiny, red boats carrying him adrift in a sea of paved walkways filled with other colorful foot-supporting spectacles. Those red shoes shouted like a diva, “LOOK AT ME!” and I did, until they became lost in the mass of “Red feet, Black feet, Left foot, Right foot, Feet, Feet, Feet” parading up and down in front of me. While in the attitude of foot-watching, my mind wandered into one of those “what if…” imaginings that have no real merit, and do no real good. 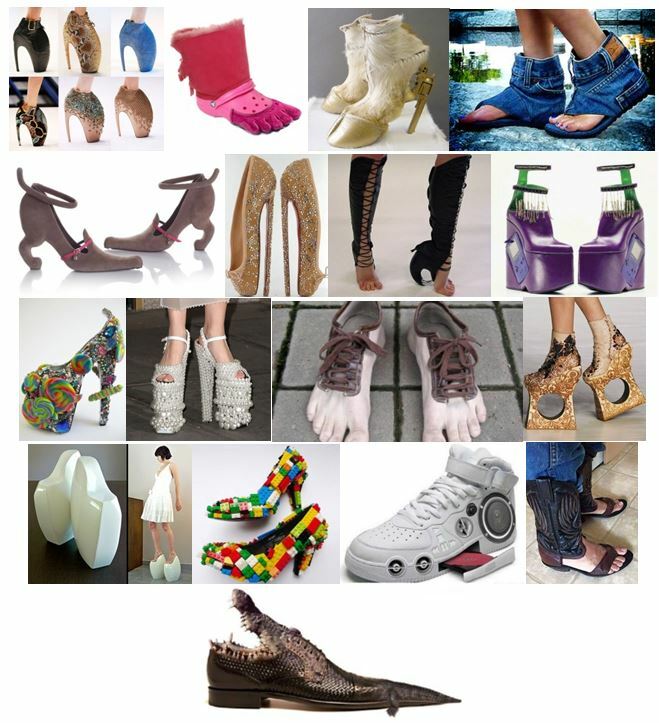 I conjured in my mind’s eye some futuristic shoe connoisseur doing the equivalent of a Google search for “shoe fashions of the early 21st century,” and pictured results showing a pathetic sampling of sneakers, flats and pumps reminiscent of 19th and 20th century fashion plates. 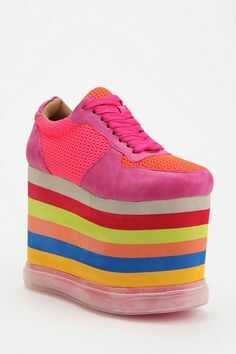 After seeing such an enormous variety of shoes in one place, at one time, I felt certain our generation’s multiplicity of shoe styles would be lost to history. 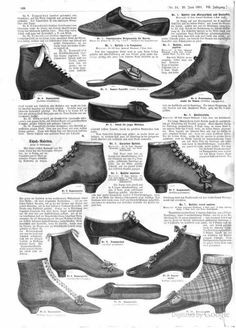 No one in the future would ever really comprehend a hundredth part of the varieties of shoes available to our generation from, literally, all “walks of life”. Once home, I did a Google search myself. I was flabbergasted at my findings! 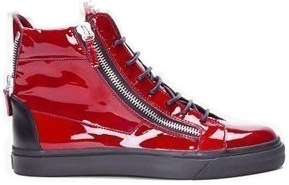 My imaginary shoe connoisseur would not be disappointed if cyber files remain intact eons into the future. 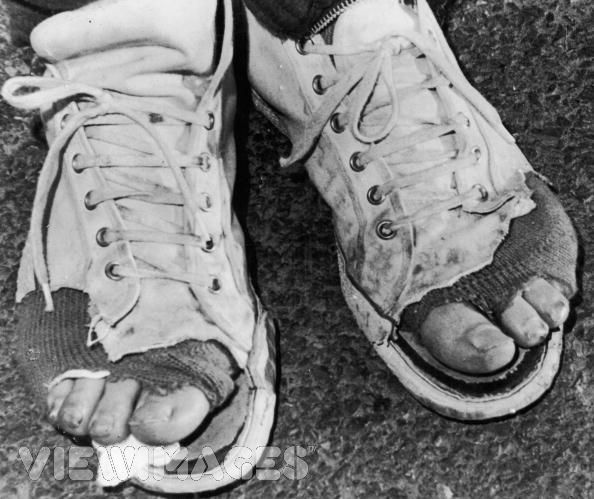 Indeed, our era has produced the most enormous, and I might add, ridiculous, array of footwear ever conceived of. Surely, comfort is not a primary motivation! Nor is the proper alignment of one’s skeleton while in motion. Beauty does not seem to be an all-encompassing rationale, either. The inspiration for many of today’s shoes is a mystery to me. I present to you a small sampling from my own search results. I have to ask, are these for real? You be the judge. Most of what I saw while foot watching was not as extreme as my Google search would have you believe. Furthermore, I recognize that each pair of shoes represents a uniquely individual personality who chooses them. I suspect that if I were to interview a cross-section of shoe wearers, I would find distinctive personality traits tied directly to the shoes they chose to wear. Just as surely as “Stiletto Gal” chose her shoes for looks over comfort, “Ruby Slippers Boat Shoes Guy” chose his shoes as an outward expression of some inward desire to have his feet noticed. Of course, these are very shallow, soulless, (or perhaps, sole-less) observations which don’t begin to comprehend the special, priceless souls that occupy those shoes. 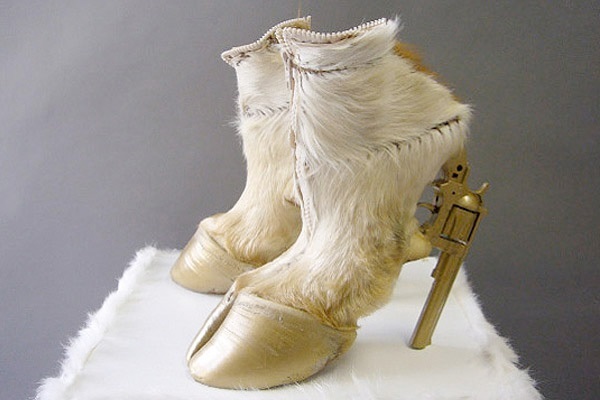 I’m no expert—no well-versed student of human behavior—but I do wonder why someone of a sound mind would, by choice, wear a pair of furry shoes with a cloven-footed toe and gold pistol heels…. Our seven year-old twin granddaughters were with us during part of that day at the amusement park, each wearing a pair of boots. A couple of weeks earlier, they had desperately wanted to go on a particular ride, and had been straining for months to reach the mark, but hadn’t quite grown tall enough to prevent the ride attendant from forcing a finger between the top of their curly heads and the wooden bar indicating how tall you had to be. Far from dense, these girls conspired a way to measure-up. They chose to wear their boots in place of their usual flip-flops or tennis shoes. Why? Their boots have significantly higher heels than any of their other shoes. Just to be sure, they wadded up tissue paper and stuffed it in their shoes to lift their feet even more. Off they went—on one of the hottest, most humid days Southern California had to offer—in their shorts and high top, laced-up boots. Their efforts didn’t go unrewarded—they were thrilled to find they had made the height requirement, and were able to go on the ride—being re-measured at every checkpoint right up to the last one just before stepping into their seats. Later that day, one of the girls began complaining that her feet hurt. On closer inspection, her mother discovered the wadded-up tissue had formed into tiny balled-up clumps, like small marbles, under the arches of her daughter’s feet, adding absolutely no height to her stature, but causing a great deal of discomfort (a small price to pay for achieving the desired goal). 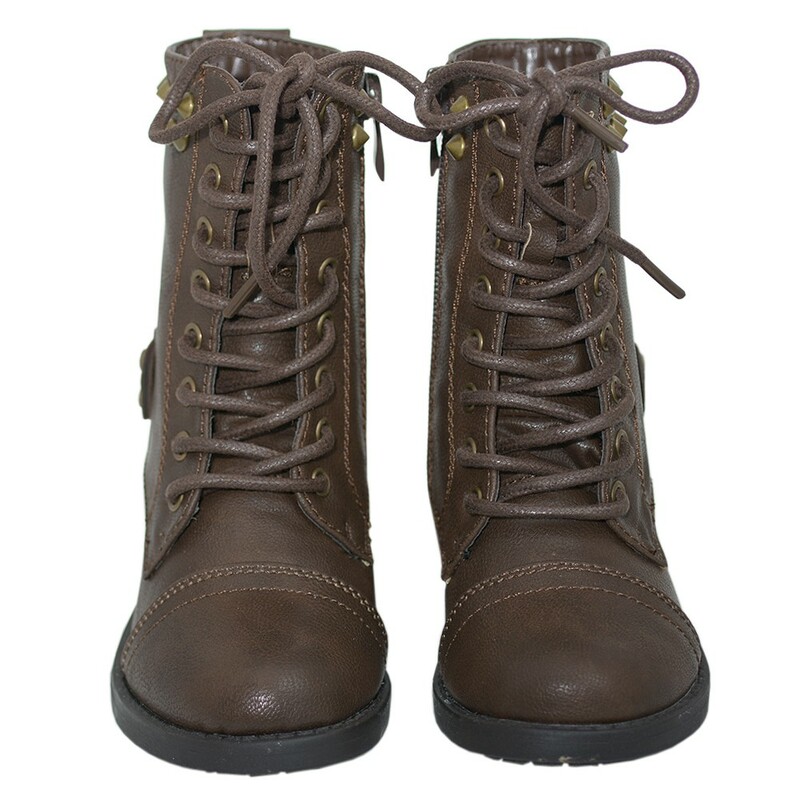 A stranger may have questioned boots with shorts and lightweight T-shirts on such a hot day. Had they know the serious business these girls were about they would have understood the combination. I suppose the same might be true of “Stiletto Gal” and “Ruby Slippers Guy.” If I knew the motivation, or the inner workings and desires of the heart, I might better understand the choice of shoes. Doesn’t this apply across the board? People make all kinds of choices about things…things I, standing in my own hand-picked variety of shoes, simply don’t understand. 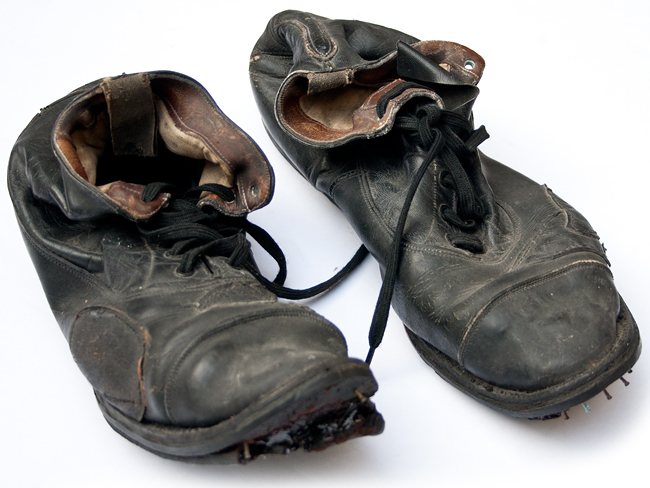 A well-known adage says we shouldn’t judge a person until we’ve walked a mile in their shoes. After seeing some of the bazillions of shoes out there, and some of the bazillions of people filling them, I’m certain I don’t understand what makes people choose what they choose—whether it be shoes, or food, or other choices of more consequence. 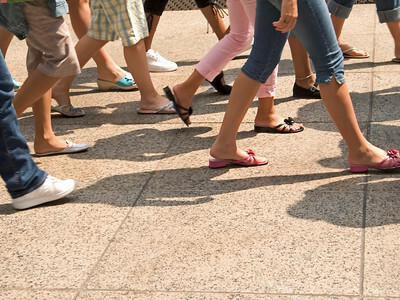 But one thing I did notice, and do understand, is that most of those people belonging to the feet I saw were kind enough to say excuse me, or I’m sorry, or pardon me, when they accidentally bumped into, or stepped on my shoes—a frequent occurrence in a crowded amusement park. Contemplating the vast amount of shoes out there, and the equally vast amount of shoe wearers, I can’t help but think that there’s no way I could ever comprehend the minds and motivations of such a variety of people. I’ve been married to my husband, Brad, for over forty years and I still don’t get how his mind works a good portion of the time. How could I possibly understand what motivates complete strangers in their choices? When one considers the mileage each individual has trod through life—much of which may have been traveled alone on painful, wadded-up-marble-sized-balls-of-tissue-stumbling-blocks, over quiet, lonely, desolate, and difficult pathways, one is certainly not in a position to judge! Indeed, the opposite is true. One must pick up the glass slipper (that was left in a rush before the magic ended), and seek out those who need the magical quality of kindness and charity restored to their life. Among the throngs of feet, we must search out those who have been hurt, or lost, or forgotten, and find the shoeless ones who have had a dream or a hope burning in their hearts, but don’t know how or where to find the lost slipper. We each carry a glass slipper in the pockets of our hearts. We each have within us the ability to restore to those in need the proverbial glass slipper of kindness, hope and truth. We can start by nurturing patience and tolerance towards those whose “choice of shoe” we don’t understand, and forego unkind, shallow, and false judgements that do injustice to those like “Stiletto Gal” and “Ruby Slippers Guy,” or more importantly, those whose feet are bare, or shod with nondescript, tired, worn-through uppers, insoles, and treads. Categories: Feet, Judging, Kindness, patience, Seeing, Shoes, tolerance | Tags: Feet, Judging, Kindness, Patience, Seeing, Shoes, Tolerance | Permalink.